There's hardly anything more comforting than a wood fire to keep you cozy in the cold. Now, imagine if you could smell that, all winter long, even when you run out of logs. 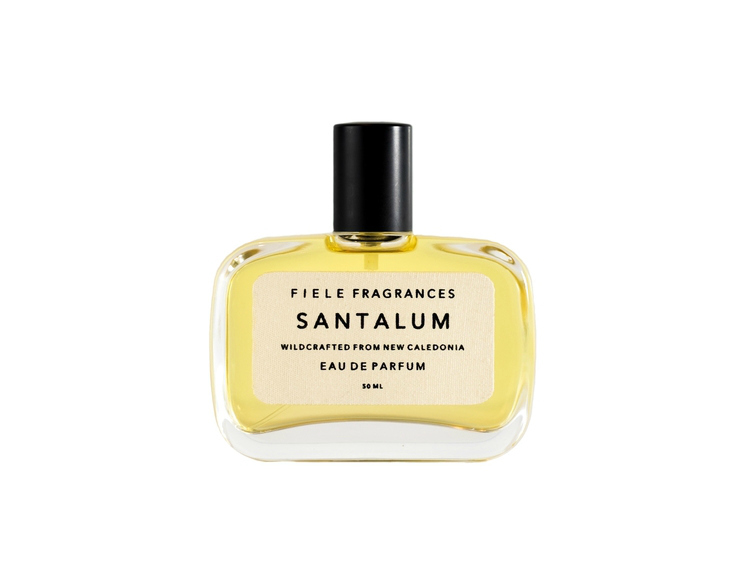 That's the idea of Fiele Fragrance's Santalum, a smoky, sandalwood-based scent that transports us to a remote cabin in the woods -- the one with a hot lumberjack next door. Sourced in New Caledonia, the sandalwood in Fiele's juices is blended by hand with alcohol derived from natural grain, and compounded in small batches in Santa Monica, Ca. The perfume develops slowly on the skin, transitioning from fresh and subtle floral notes of jasmine and iris, to a sweet and smoky dry-down of woody notes, vanilla, and tonka bean -- with a hint of espresso and musk. An ideal companion for the snowy days ahead.